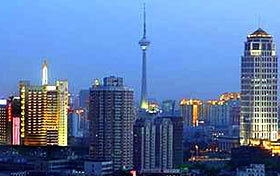 Tianjin hotels: discount reservation system offered by chinahotelsreservation. Tianjin useful information: all your requirements regarding your stay, included instructions about tours and convenient solutions for hotels and rooms arrangement. For detailed Tianjin hotel information or to reserve a hotel please click on Tianjin Hotels list. The tourist resources in Tianjin are abundant, the tourist activity is rich and colorful. There is travel sight-seeing area of Ji County taking natural scenery and scenic spots and historical sites as characteristic, strand travelling area of Tanggu with bay characteristics. 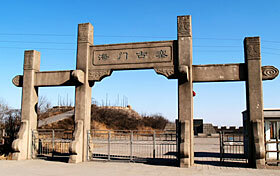 There are many historic ruins in Tianjin, there are Dule temples, the Great Wall of Huangyaguan of Ji County, Ji County wind up a mountain, have Tianhou Palace, Confucian temple, great sorrow institute, large temple , pavilion of Islamic, Tiancheng temple, the fort platform of Dagukou, look at sea floor church, Guangdong meeting room. Human cultural sight have Zhang Xue-liang former residence, Yuan Shikai former residence, Lishutong former residence, the former residence of Jihongchang, the former residence of HuoYuanjia, the former residence of the appearance, Confucian Temple, Liang Qichao former residence, realizes the old site of the society, there are plum small stream memorial archways, the small south river village, Yang Liuqing Forest Park in the natural landscape, Cuiping Mount, oyster beach, dress the sweet-smelling valley and so on.